Efficient Market Hypothesis -The Only Theory That You Need to Read Today. Have you ever wondered why most of the investors and fund managers fail to beat the market? Why beating the market is considered a big deal? This can be answered with the help of one of the most controversial theory regarding stock market- The efficient market theory. Ever since its origin, there has been a lot of heated argument regarding the validity of this hypothesis. The efficient market hypothesis originated in the 1960s and it was published by an economist Eugene Fama. 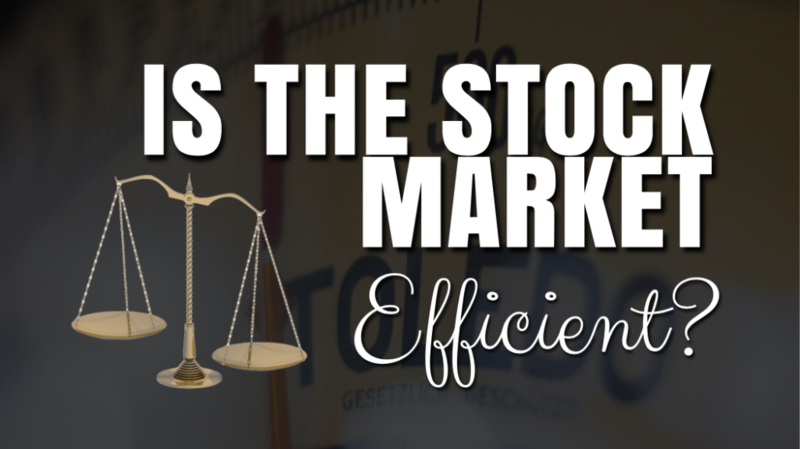 The efficient market hypothesis suggests that the current stock price fully reflects all the available information regarding a firm and hence it is impossible to beat the market using the same information. In other words, you cannot beat the market by using the information that is already available to the public as the market has already incorporated and reflected all the relevant information which may impact the stock. Stocks always trade at a fair price and reflects all the available information at a particular time. It is impossible to purchase an undervalued stock and sell at an inflated price. The only way an investor can possibly obtain a higher return than the market is by investing in riskier stocks. 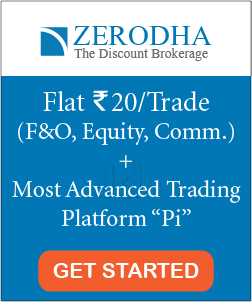 Why EMH suggests that stocks trade at a fair price? According to the efficient market hypothesis, the market price of a stock ‘adjusts’ quickly and on average ‘without any bias’ to the new information. As a result, prices of the securities reflect all the available pieces of information at any given point in time. That’s why EMH suggests that there is no reason to believe that prices are too high or too low. The security prices adjust before an investor has time to trade or make profits from a new piece of information. An efficient market is fairly priced and an average investor gets exactly what he paid for. In short, the efficient market hypothesis conveys the slogan- “TRUST MARKET PRICES”. The weak form of EMH suggests that the current price of a stock fully incorporates information contained in the ‘price history‘ of stocks. Therefore, one cannot take profit by using something that ‘everybody else knows’ and hence cannot beat the market by analyzing past prices. The weak form EMH directly challenges the technical analysts whose trades are based on the past price movements and chart trends. The semi-strong form EMH advocates that the current stock price fully incorporates all the publicly available pieces of information. All the information like past price movements, financial statements (balance sheet, income statement, annual sheets etc), corporate announcements (like earnings, dividends, bonus etc), economic factors ((inflation, employment etc) already reflects in the share price. The stock prices get adjusted with the publicly available data and hence, you cannot take advantage by reading what everyone already knows. The strong form EMH proposes that the current price of a stock fully incorporates all the existing information- public or private (insiders information). 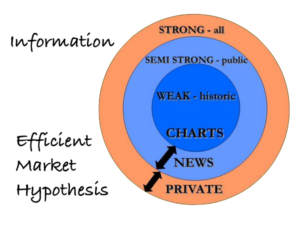 Hence, nobody should be able to systematically generate profits by trading based on insiders information (which is not even publicly known at the time). The rationale behind the strong form EMH is that market anticipates the future developments in an unbiased manner and hence the stock price may already have incorporated the information and evaluated in a much more objective and informative way than insiders. For example- if a company is on the verge of a revolutionary discovery, the market/public might already have anticipated it and adjusted the price accordingly. Hence, even the insiders cannot take a sustained advantage of this new discovery. All the three form of EMH suggests that nobody can systematically beat the market ‘consistently’. 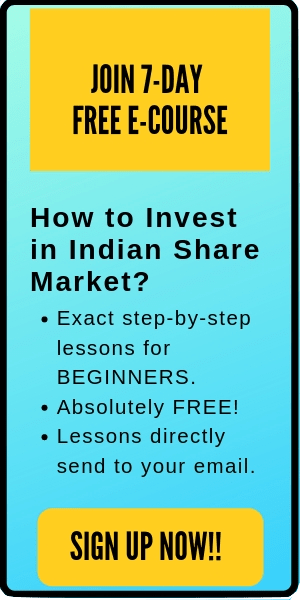 Many Investors have proven that they can beat the market: Stock market is full of investors like Warren Buffett, Rakesh Jhunjhunwala, Ramesh Damani etc who have consistently beaten the market contradicting the hypothesis. Behavioral aspects of Investing: Not all investors behave in a similar manner. Human errors and emotional decisions also influence the prices. Regulatory hindrances– There are a number of regulatory hindrances like price bands, circuits, exchange regulations etc which objects the natural movement of stocks. Not all investors view stocks in the same manner: EMH presumes that all investors are informed, skilled, can analyze the publicly available data. However, the majority of average investors are not trained and have limited financial expertise. Although there are many staunch supporters of the efficient market hypothesis, however, this theory has its own limitations. Those who believe in EMH suggests that market is efficient and the stocks always trade at a fair price and reflect all the available information. Therefore, they advocate that it’s useless to perform technical or fundamental analysis of stocks as nobody can beat the market using the information which ‘everybody else knows’. In case the efficient market hypothesis is true, then you should invest all your money in the index fund. This is because- although it is impossible to beat the market, however, by investing in the index fund you can get a similar return as the market.